A tiered outdoor fountain is ideal if you want to create a focal point for your Spanish-style patio. Pick a white marble fountain to match the patio design. To soften the formal symmetry of the patio, add potted ferns and hydrangeas near the fountain. 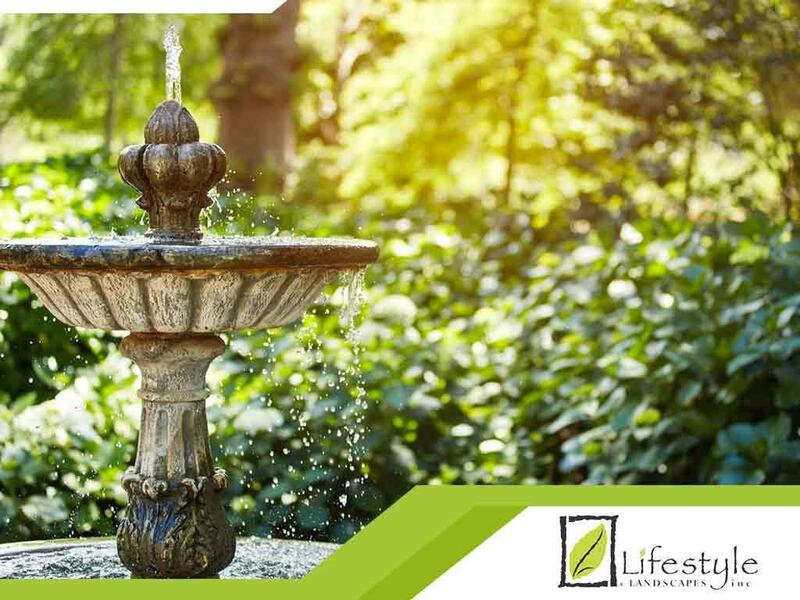 You can then enjoy the soothing sound of flowing water in your garden or from your patio. Another water feature that can draw eyes to your backyard is an artificial brook. You can build a small bridge over it for added drama. Remember to use stones around the brook to make it look more natural. You may also add plants around it for a more relaxing outdoor living space. Apart from fountains and brooks, koi ponds can also make a garden more aesthetically appealing and add a unique charm to any landscape. It’s an instant conversation piece and an area around which you can spend some leisurely time with friends and family. Last but not least, you can install an artificial waterfall in your backyard. You may choose from the variety of materials, including pre-cast stone, plastic, pebble course liner and even fiberglass. Count on Lifestyle Landscapes, Inc. for your patio design and water feature installation. Our team is dedicated to providing professional services that will help revamp your outdoor living space. Call us today at (206) 899-1444 or fill out our online form to schedule an appointment. We serve residents of Seattle.